Well, thanks for being open about the reason. Give a yell if you need help with anything. Might be cool permissions to look into for the future. It may allow faction leaders to protect their stuff and members could get their own area for storage which they could store personal tools or supplies. But I know permissions can be a pain to setup , so this is just my two cents. We're fixing everything and then going through everything to make sure we won't have these crashes again. The version of the server is 1.1.0. 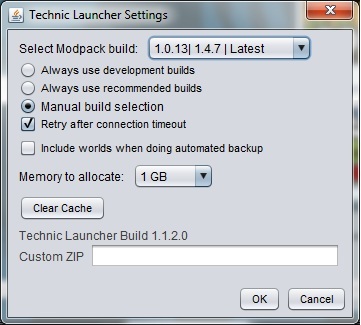 Are you using the beta Technic launcher? I use the stable version 195...but I got the old launcher too....should I try the old one? Brb It seems like the 1.1.0 version from the old Technic Launcher is gone....What happened? Can I acces the server using the new version of the technic launcher?! 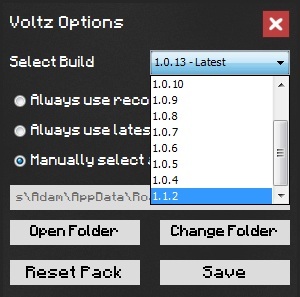 The latest version of Voltz FOR ME is 1.0.13 - WTF?! Brb when I uset the latest version - should I accept to make the update , or just remain to 1.0.13?! Ah crap the jar stopped working for me so I downloaded the 1.1.0 server zip and copied and replaced the core mods, mods, and config and it lets me connect with the new launcher. Anyone have a better method? As this crashes voltz when I disconnect from the server, player data and location is fine though upon reconnecting. You can't. This is where they fucked up. They deleted 1.1 from the version list so if you change your version at all, you won't be able to join. Oh nice 1.1.3 was added to the new launcher, got any idea of the bugs that may exist in this one? Oh wow look at all the new power suit modules added and power tool toys!